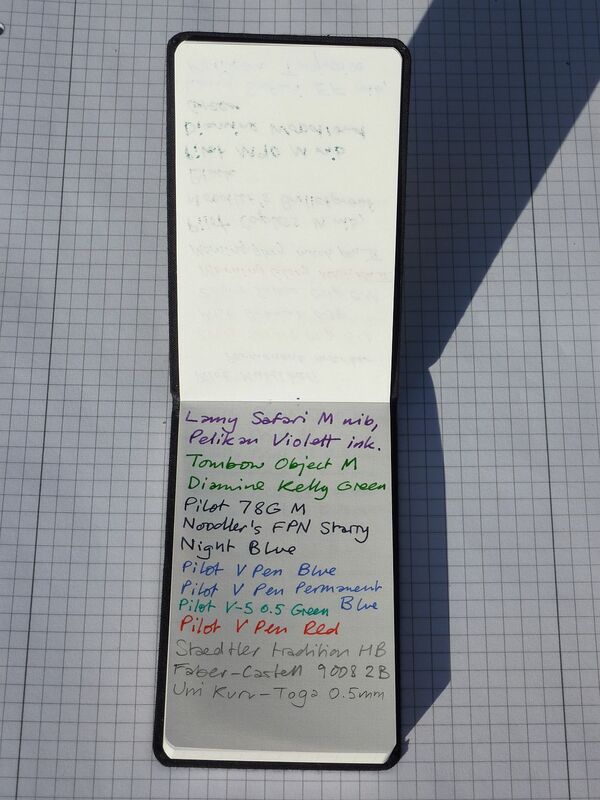 The excellent Office Supply Geek website recently published this review of the Field Notes Steno Pad. From my computer monitor, it looks like it meets my criteria for the ideal shorthand notebook which I mentioned a while back. 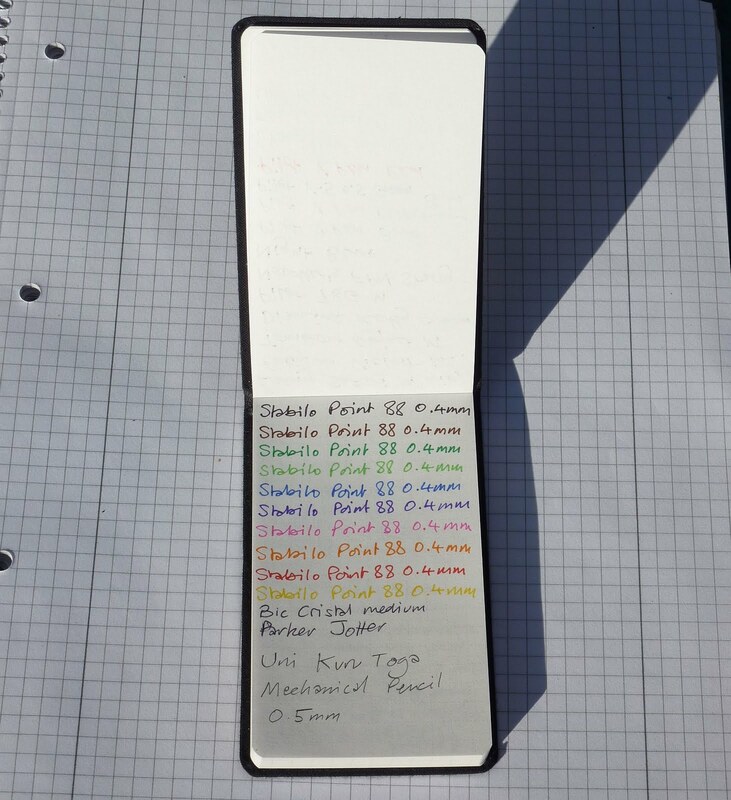 The covers look robust enough, and the "useful" information printed inside the covers can liven up a dull meeting. All I would have to do is to punch two holes in the covers for the Steno Pad to meet my specifications. It's available in the UK too, from The Paperie. The sting in the tail? Just the price, GBP8.25 (over USD13). Ouch. 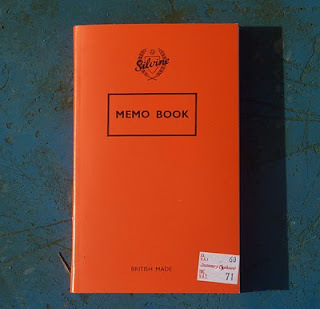 This post about indexing, by the miserablist “Nemo” on the Mobilis Ink Mobili blog, reminded me of the existence of the Silvine brand of stationery, which has been a staple of British newsagents’ stationery shelves for years. I remember that often, they were the only affordable notebooks available in the local Lavells or Martins in the days before Moleskine. 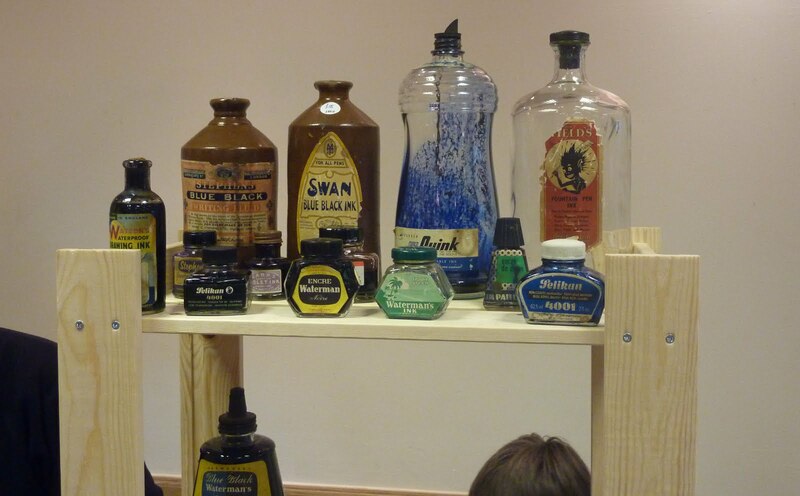 Established in 1901, the Silvine brand is owned by the Sinclair company, based in Otley, West Yorkshire. 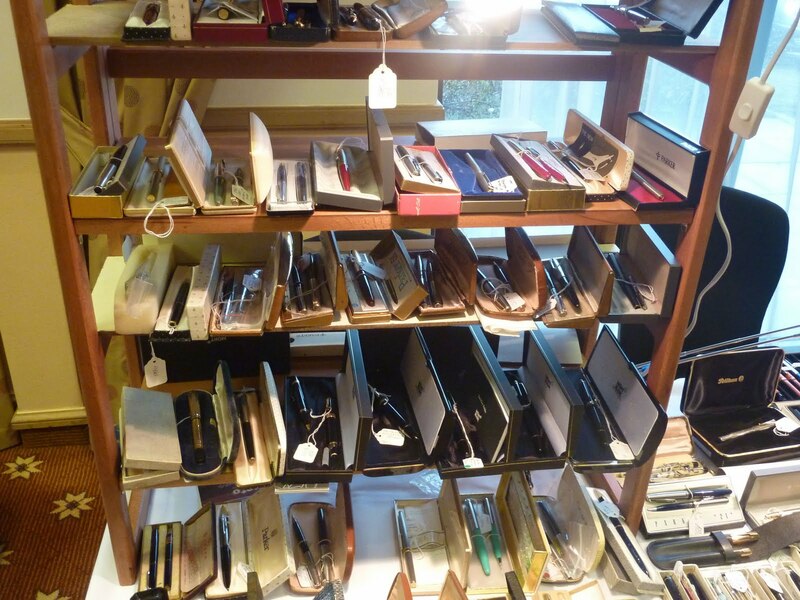 Silvine is one of the few British stationery brands left in operation, but seems to be run on 21st Century lines: for example, it boasts ISO 14001 and FSC certification. 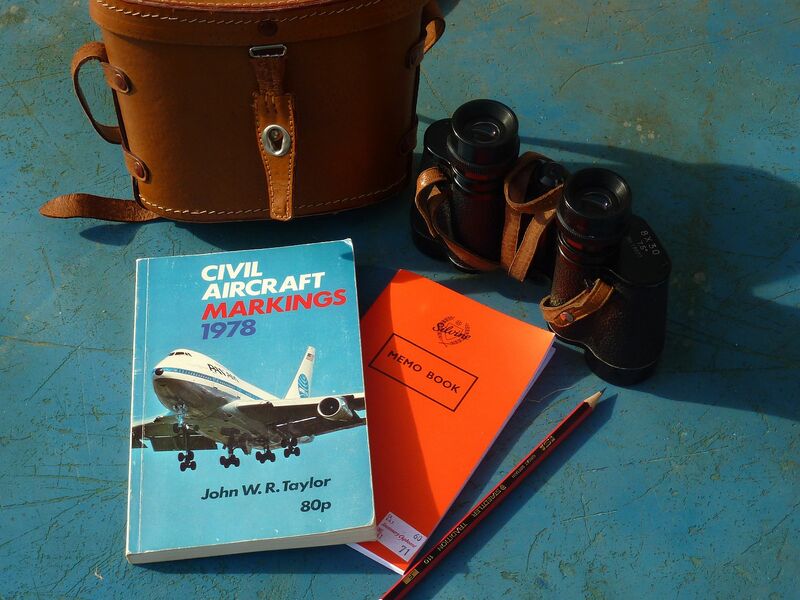 Silvine’s red jackets stood out a mile and their Memo Books were commonly used for all kinds of quotidian jobs: shopping lists, to-do lists, aircraft spotters’ lists of airliner registrations, and so on. 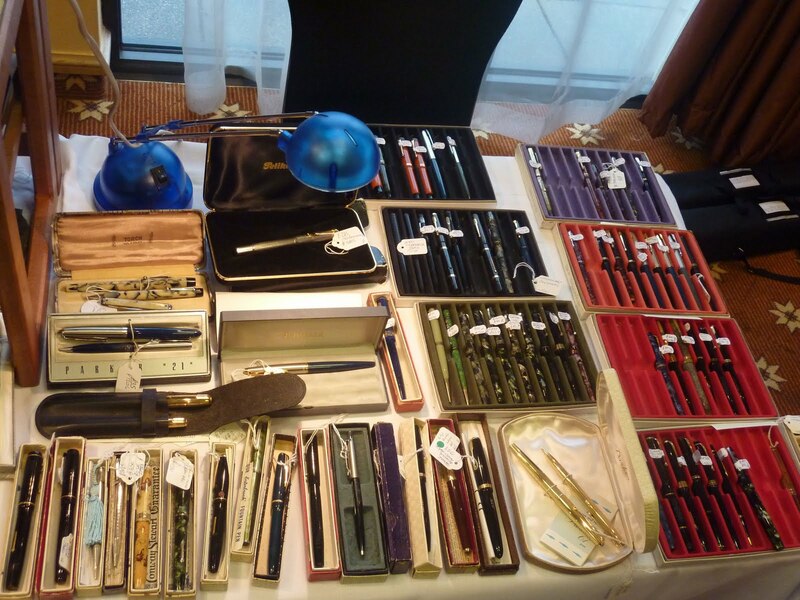 Silvine was never seen as a premium brand; it was just an everyday brand of stationery. Recently,I popped into the local stationer’s and picked up two of Silvine’s classic products: the Exercise Book, and the aforementioned Memo Book. The paper is feint ruled - I don't believe they produce either plain or squared versions - and comes in a cash-book variant as well. In 2008, Silvine changed the brand logo: the one pictured above is the old one, which I prefer. Its replacement is just the name, without the laurel wreath, in a serif font. 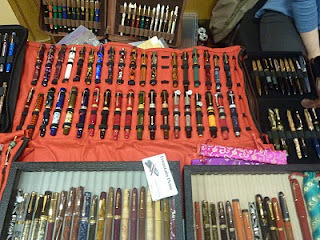 Today I went to the third South West Pen Show. 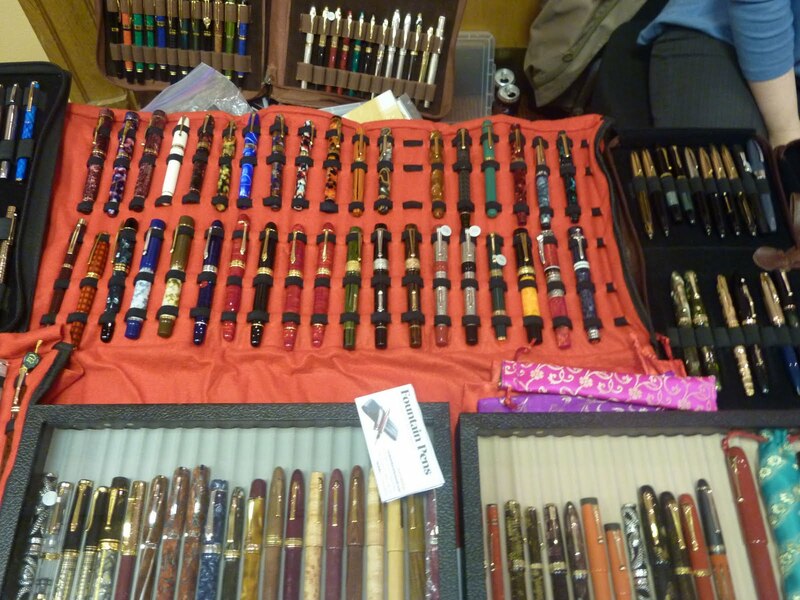 This event, held in a hotel deep in Bristol's light industrial hinterland and close to the M5 motorway, is a small but friendly gathering of fountain pen enthusiasts and vendors. I arrived fairly late on, but managed to have a chat with a few of the stallholders and one or two punters. 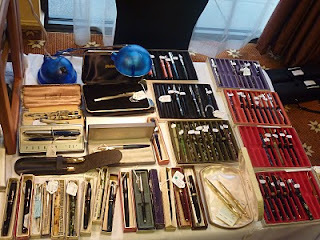 I did not buy anything today, although I was tempted by one or two gewgaws and of course some beautiful pens, such as the Sheaffer PFM. I took a few photos, and hopefully I'll get the chance to upload them later. I begin this review with an old British television clip: the opening credits and introduction of an episode of Roald Dahl's Tales of the Unexpected. Although best known around the world for his children's stories, Dahl also wrote wicked short stories for adults. 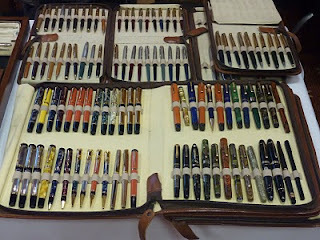 He did this using the original predecessor of the pencil I review now: the Dixon Ticonderoga. The introduction on this episode of Tales of the Unexpected was typical: Dahl talking to camera from what purported to be his study, fiddling with a pencil as he spoke. The Ticonderoga, long established as an American-made pencil, is now produced in Mexico and China. The Dixon name is part of the Fila stable of companies (it acquired Lyra a few years ago). It has very little currency here in Europe and until last year I had never even heard of it. When I saw that Cult Pens had begun to stock it however, I was keen to try one for review. 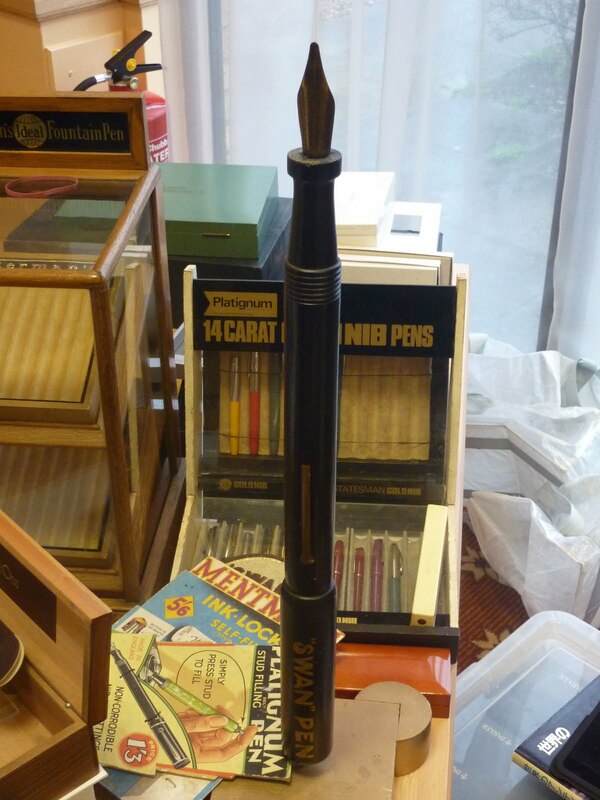 The pencil itself is finished in what might be called US Standard Office Pencil Yellow. 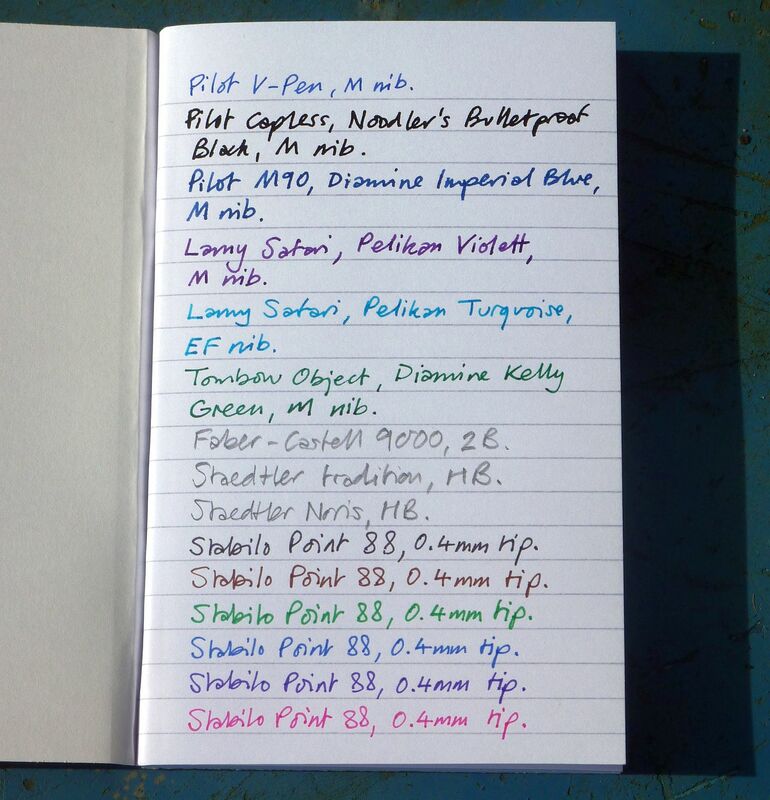 This isn't the golden yellow of the Staedtler Noris; it's closer to the colour of honey, Bath stone or even mustard. It has a slight reddish cast to it. Unlike most contemporary pencils, this one bears no barcodes, country of origin stamps or any extraneous marking except the simple "Dixon Ticonderoga 2 HB" in green foil blocking. The ferrule, stamped from green-painted metal, bears two yellow stripes. New in the box, it comes unsharpened. This pencil certainly looks as though it means business. But how does it write? Surprisingly well, I found. 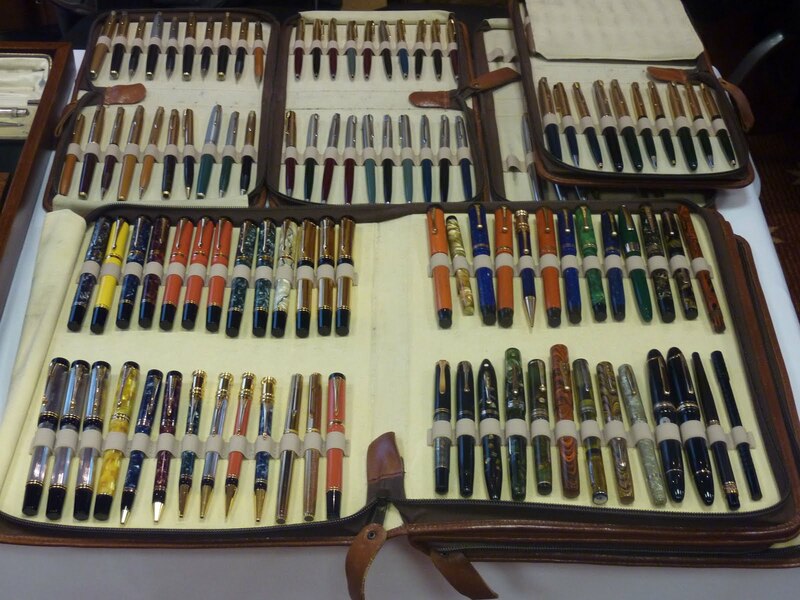 If this lead is anything like the old American leads used by Roald Dahl, I can see why they were his favourite pencil for long spells of writing. The wood is cedar, and the lead is a medium slate-grey shade. The point lasts a long time and during a week where I used the Ticonderoga exclusively, I found that quite long spells passed between sharpenings. It sharpened very nicely as well. The eraser, being a bog-standard pink pearl type, will do at a pinch if nothing else is to hand, but I prefer to use my modern white plastic erasers. It was this pencil that I used as my sample for this review. 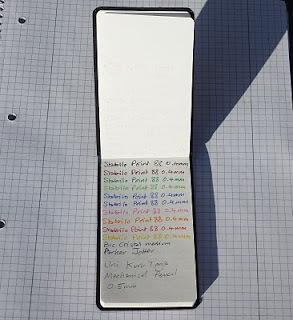 Overall this is a good pencil for everyday use, though the Staedtler Noris 122 is a better overall pencil in my view, largely because of the QC issues. Note Booker Esq. 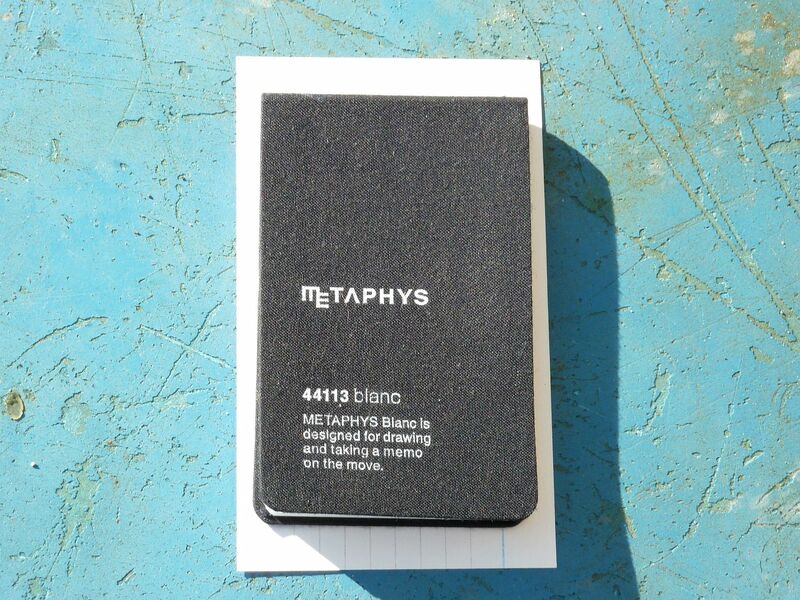 kindly sent me his Metaphys 44133 blanc reporter's notebook after I "won" the giveaway he held late last year. 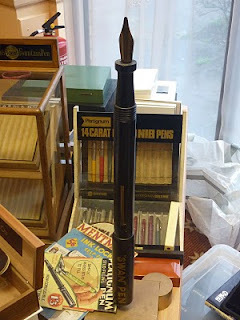 Held up on its trans-Atlantic trip by winter weather and Christmas, it finally arrived here on 11 January 2011. My children were fascinated by it, mainly by its size: it measures a mere 104 millimetres long by 65mm wide and 9mm deep. 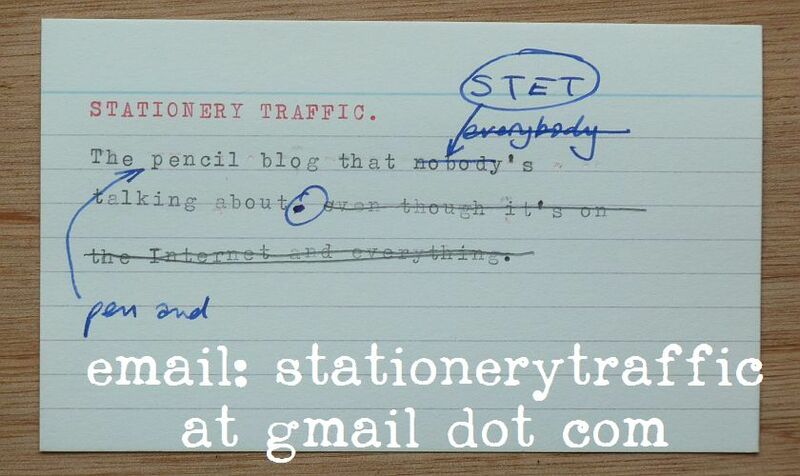 It will fit completely within a standard 3x5 index card (see above). 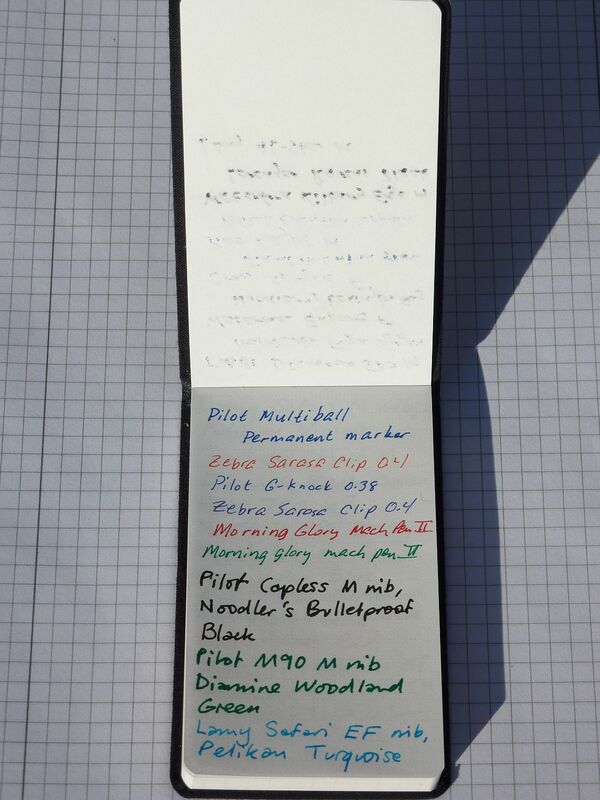 You should be able to see that the Diamine Woodland Green sample written with my M90 showed a lot of bleedthrough, more so than the Noodler's Bulletproof Black sample from my Pilot Capless. 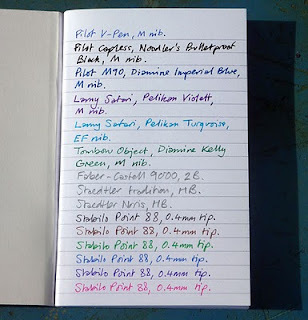 I tried out a number of types of pen and pencil, and concur with NB's findings that fountain pens can bleed a lot, and rollerball and felt pens less so, and ballpoints not at all. But the best partner to this memopad is a good old pencil, as the lines will not show through the thin paper. 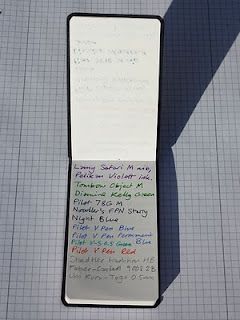 One thing which struck me in this age of Moleskine and its assorted copies, is that the Metaphys Blanc lacks two of the essential elements of the classic pocket notebook: the page marker ribbon, and the elastic band closure. I find this a bit surprising. First, the cover does not close fully, but stays ajar; look carefully at the first picture. 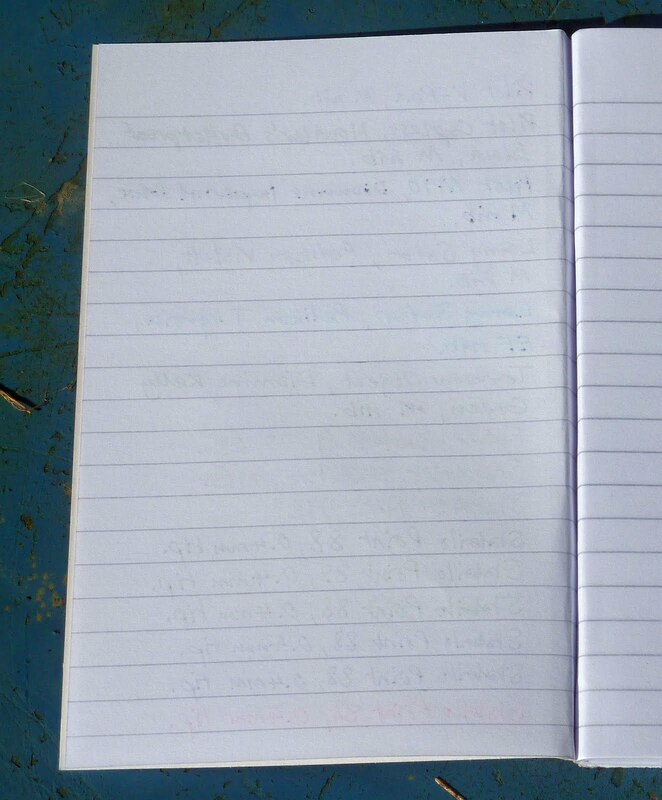 Second, this opening allows foreign objects such as crumbs, bits of fluff, hair, leaf mould etc to accumulate inside the notebook. I suppose the lack of these features marks out the Blanc as sufficiently different to all the Mole knock-offs on the market today, but I found that I missed them. The elastic closure is the most useful feature, in my opinion. In addition, the fabric cover also attracts hair and dust. In fact, I've just brushed off more biscuit crumbs from it. 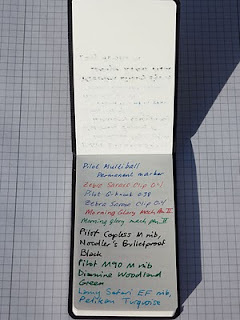 In summary, then: this is a high-quality pocket memo pad for people with tiny handwriting and who need to keep a memo pad in their shirt pocket. 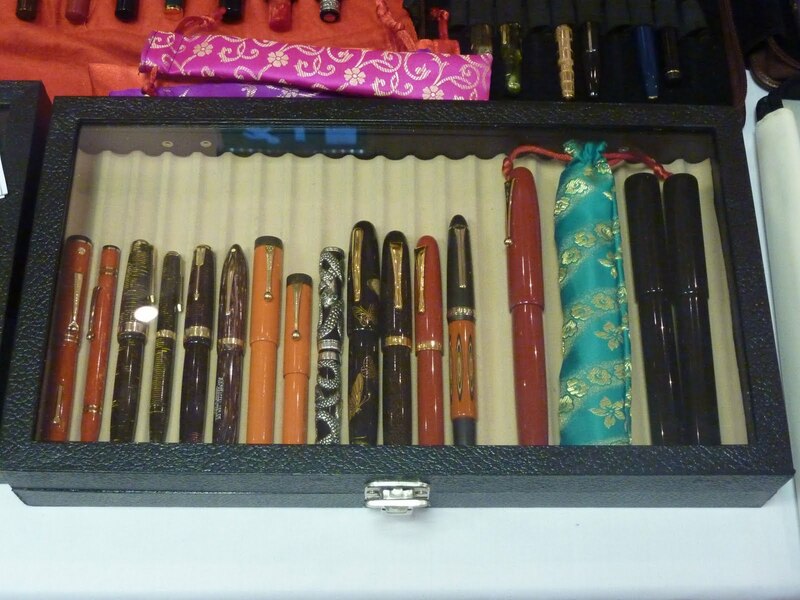 It is pricey, but nonetheless a fine item, even if it could do with an elastic closure. I'll be using it in future.